Necmi Zeka's first exhibition, "continuous discontinuous" of his works from 1994 - 2001 is displayed at Sabanci University's Kasa Gallery from . Necmi Zeka's works comprise a series of pictures categorized under specific titles: lines from Shakespeare, Hölderlin, Dickinson, Yeats, Rilke, and Celan; Sears Towers; Schubert's lieds; and Derrida's suggestion of a definition of language are just a few of the examples that form the concept of the series. The visual language of these series stems from different sources, with each series creating, running, and ending in its own visual codes. As a result, visualization is not encoded in single meaning but expressed in a plural fashion, and thus reveals Zeka's artistic philosophy. 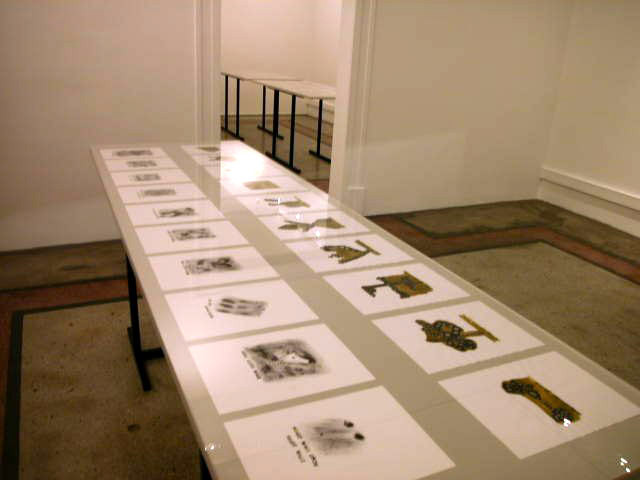 The first of the "Invited Curator" series took place under the curatorship of Aykut Köksal. The presentation of 14 series selected for the Exhibition directly indicated Zeka's artistic philosophy behind his works. 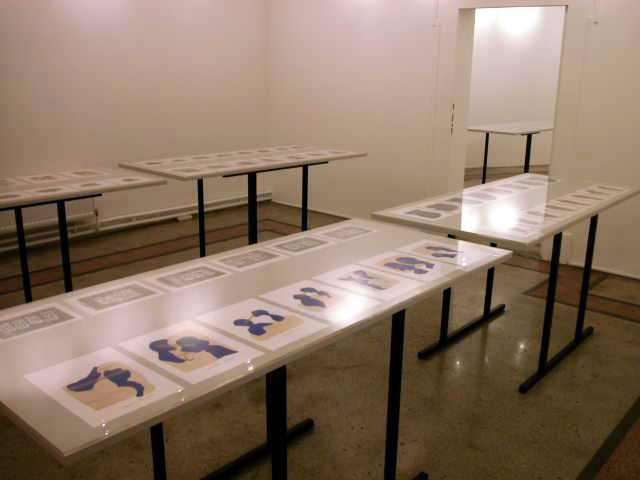 The works were displayed on seven long tables; this layout enabled the main theme of Necmi Zeka's work to emerge and each element of the series refrained from existing as a finished object.